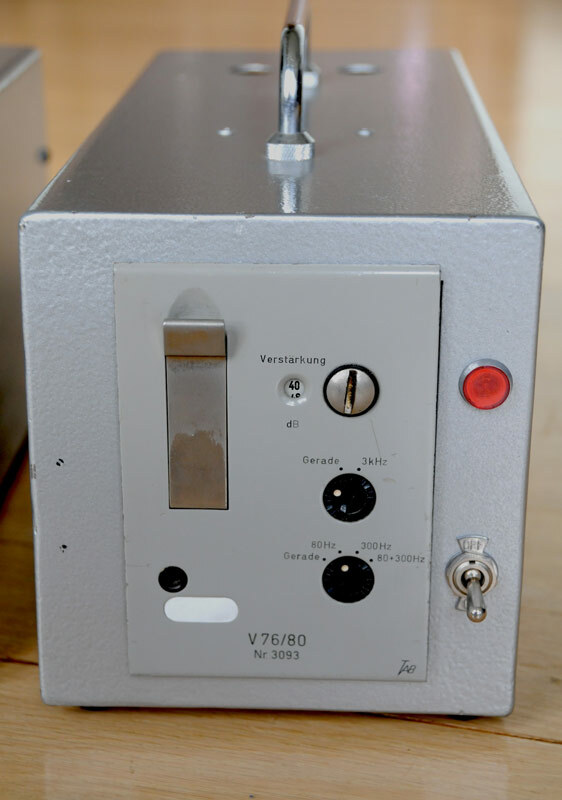 The V76 was designed by the Insitut fur Rundfunktechnik and built from 1958 basically by TAB/Germany (Tonographie Apparatebau, Wuppertal/Eberfeld). Engineering standard and technical quality at this time was so high, that it would be impossible to build this preamp today for its current market price. The V76 was designed for applications where the ‘standard’ V72 could not provide enough gain (ie for dynamic mics) and where it was essential to have a switchable variety of gain steps plus some selectable high and low frequency pre filtering. The circuit of the gain selector works in a quite unique way of combining variable input attenuation and variable feedback. This results in very good noise figures at all gain settings. There are 3 controls at the front panel: The 12 step gain selector (+3dB up to +76dB), a 3 kHz rolloff switch and a four step low cut filter. The unit is fully self contained, it includes its own 220V power supply and all connections as the mains supply and the balanced input and balanced output are accessible through a single 12pin Tuchel connector. The high quality balancing transformers at the signal input and output and the mains transformer are shielded with multi layer mumetal/copper technique. 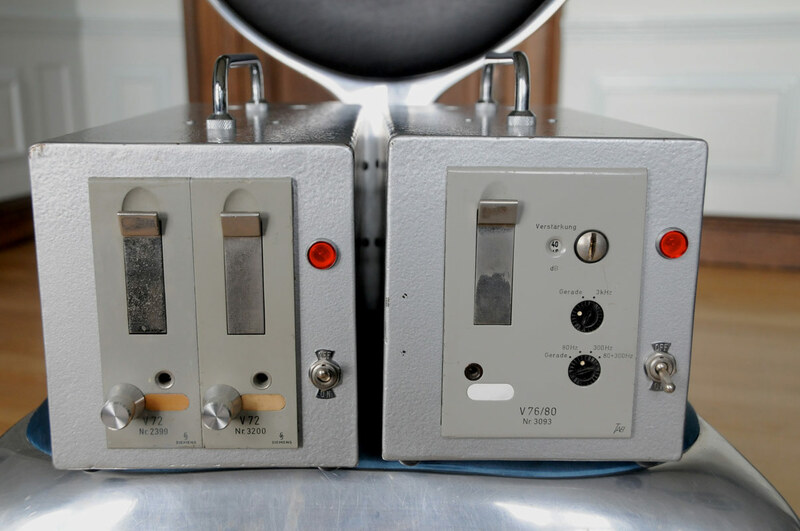 Pentodes Telefunken EF804S and E83F used in the V76 are common types and are still easily available.